Have you ever dreamed of a cabin in the mountains? Travelers Rest Lodge invites you to enjoy the beauty of the Rocky Mountains and Glacier National Park while staying in your own comfortable cabin tucked into the aspen trees. You will be just minutes away from the Two Medicine entrance to Glacier National Park, where scenery and hiking trails abound along with fishing and boating on Two Medicine Lake and Upper Two Medicine Lake. We are located half way between West Glacier and St. Marys, making access convenient to the Going to the Sun Road. We are also near the Bob Marshall and Scape Goat Wilderness areas, Blackfeet Indian sites and several Lewis and Clark sites. 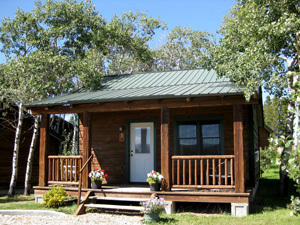 You can also enjoy dining and shopping in the village of East Glacier Park.